Deal of the Week – SOLD!!! It’s deal of the week time! This week we aren’t quite so late in posting. First – the rules. This week we’re calling the deal “Our Pain, Your Gain”. That’s right, we gave it a title just to shake things up. So, here’s how this went down. 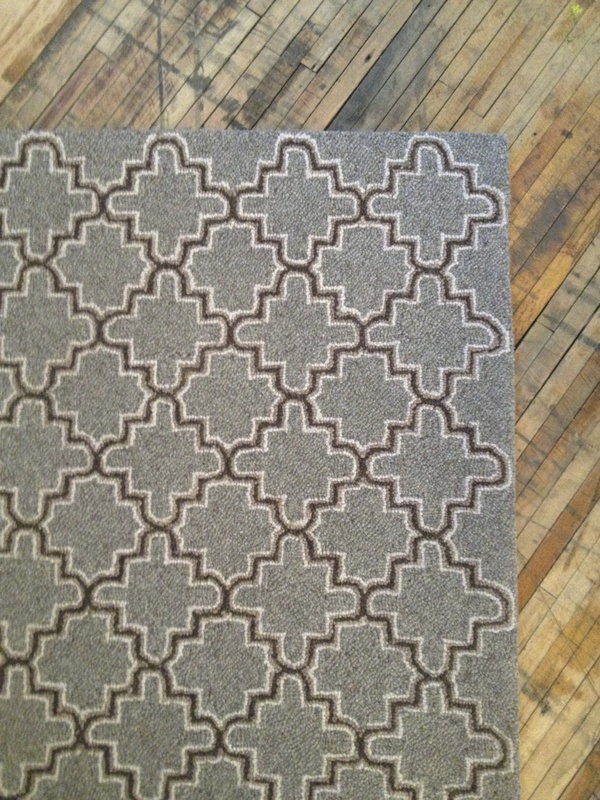 We carry a line of rugs, perhaps you’ve seen them in the store, Dash and Albert Rugs. They are brand spanking new rugs as opposed to our antique rugs that have been featured both on the blog and “the deal”. They are lovely. Anyway, we try to keep a few in stock – small 2×3’s which are kitchen sink-y kind of things. We like to have a couple of 3×5’s – they make a nice oversized door mat, maybe a bedside rug to step onto on a cold morning, even a bath rug. We even sometimes have a 4×6. We NEVER order any larger ones for the store to keep in stock- you have to special order those. It would be dumb of us to have that size in the store. I mean, they wouldn’t roll up nice and small and then fit into our pretty display cabinet. Right? It just wouldn’t make sense. Here’s where the blunder comes in. I’m not going to point fingers or anything (We LOVE pointing fingers here at Simple Things) . There are rumors of fault, but we won’t air that out here. Anyway, the result of this goof is we have been stuck with a brand spankin’ new 8×10(!) rug that stays rolled up while we take turns tripping over it. It must go. Did I mention it is really beautiful? Now, please, get it out of here. One of us is gonna get hurt.